Nearly a month after the release of her latest album, Reputation, Taylor Swift is seeing her name continue to pop up in headlines. 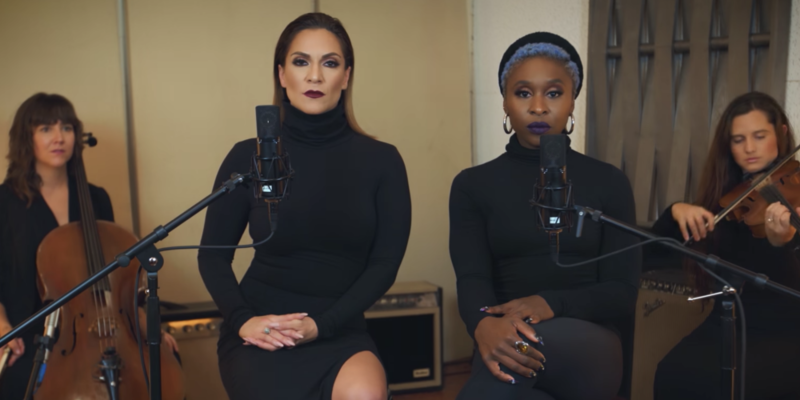 We found out today that Swift is gracing the cover of TIME‘s annual “Person of the Year” issue, but other headlines bear her name as well — specifically stories about an unplugged Taylor Swift cover performed by Broadway stars Shoshana Bean and Cynthia Erivo that has Swift fans and haters alike shouting from the rooftops. They say I did something bad / Then why’s it feel so good? They say I did something bad / But why’s it feel so good? The unplugged cover, though, takes a more stripped down approach than the studio version. The bulk of reactions to the unplugged Taylor Swift cover seem to be awe and amazement at what is no doubt a brilliant piece of work. Bean and Erivo sit nearly motionless throughout the song, accompanied only by a violin and cello. 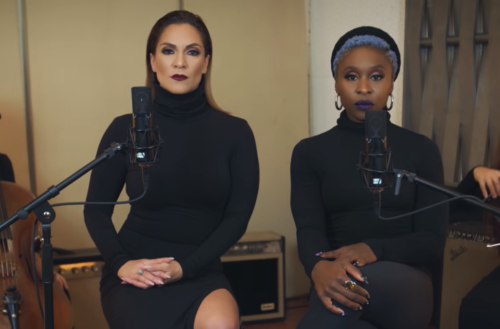 Those who are unfamiliar with Shoshana Bean and Cynthia Erivo, now’s the time to take note of these two renowned Broadway stars who do a damn fine job of serving serious femme fatale vibes. Bean is the actress who took over the role of Elphaba in Wicked from Idina Menzel. She’s released three albums, with a fourth on the way in February. In 2015, she played the role of CeeCee Bloom (Bette Midler’s character) in the musical version of Beaches that began in Chicago.